Healthy Hair Diary: Going Natural!? For the past few months I find myself looking into natural hair products more and more. It started as a way to get all natural organic products for my daughter’s hair. It is a frustrating yet funny process, so many hair products claim to be natural but once you turn that bottle around and check the ingredients list it’s like taking a Science exam. Words you can’t begin to pronounce and no matter how much I research what they are and their role in the product it’s still a lot to remember. I just want to know what’s going into my lova’s hair and body without having to worry about what it is and whether or not we’re going to have to deal with side effects from chemicals. If I said I was going vegan I would be lying, all I want to do is limit chemicals when I can. I just feel more comfortable using more natural and organic products so I’m going with my gut. · If I’m going to spend upwards of $200 on hair products why not just buy all natural/organic? In most cases the amount you get in a container or bottle of “high end” hair products are the same, whether natural or not. · When we use more natural products we get less build up. We moisturize and seal every day sometimes twice per day and as much as I try to wash our hair at least once per week, there are times that this don’t happen and I start feeling like my hair hasn’t been washed for months and lova gets a lot of build up. When we use natural products our hair doesn’t feel as “gunky” when going more than a week between washes. 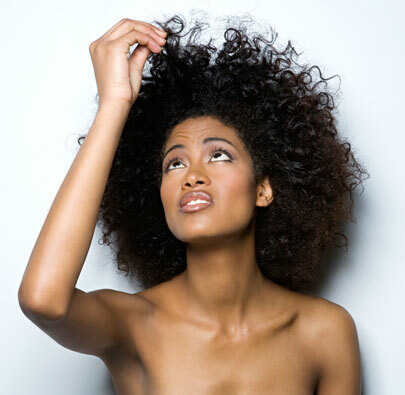 · Natural products are easier to wash out our hair. For instance, as much as we love Macadamia Healing Oil Treatment for sealing, the reality is we still have to depend on sulphates to get it out completely even though it is not as heavy as other serums also the ORS moisturiser that I use has petrolatum as the fourth ingredient. Using products like these on a regular means we have to use sulphates more often than not. I. Trusting companies – some things just don’t add up when it comes to the ingredients (I’ll explain more in another post). II. Finding products that works – There may be a lot of trial and error, testing a billion products before I fine a gem is not something I’m looking forward to again. III. Accessibility of these products – where I live there is only a handful of places I can get natural and organic hair products, my choices in brands are limited and consistency is a problem. I order a lot of my products online but I would like to know I have the option of purchasing locally even though I will be paying way more. For me, I don’t mine using my regulars to shampoo and deep condition but would love to find all natural and organic products for my daily use. What do you think of natural or organic brands? i haven't use any natural brand so far but i read great reviews about the Aubrey Organics products. They are available in the most whole food stores or can be purchased online. After using up my stash somewhere in late November i will try them for myself. I want to try Aubrey Organics products but I have never seen them in Trinidad and Tobago, the conditioners has been on my want list since the start of my hair journey. We are using Darcy's Botanicals Transitioning cream right now and loving it! I will give the curl moisturising cream a try after my ban is up, wish me luck with that lol Tasia S is one of the heads I drool over! When I saw your blog post title I said "we lost another relaxed head but was coming over to encourage your on your new journey lol". Like Bebe said alot of people rave about Darcy Botanicals but I haven't tried them. I actually hate when a company target natural hair only with their products, my money is good whether I'm relaxed or natural and they need to understand that. Will do Daintyffany, so far I've had two hits and two miss, will do reviews on the products once I use them for a few more weeks.